Home / What Is Terradynamics And Why Do We Need It? The movement of biological organisms is a fundamental feature of life and is crucial to almost any ecological and evolutionary process. 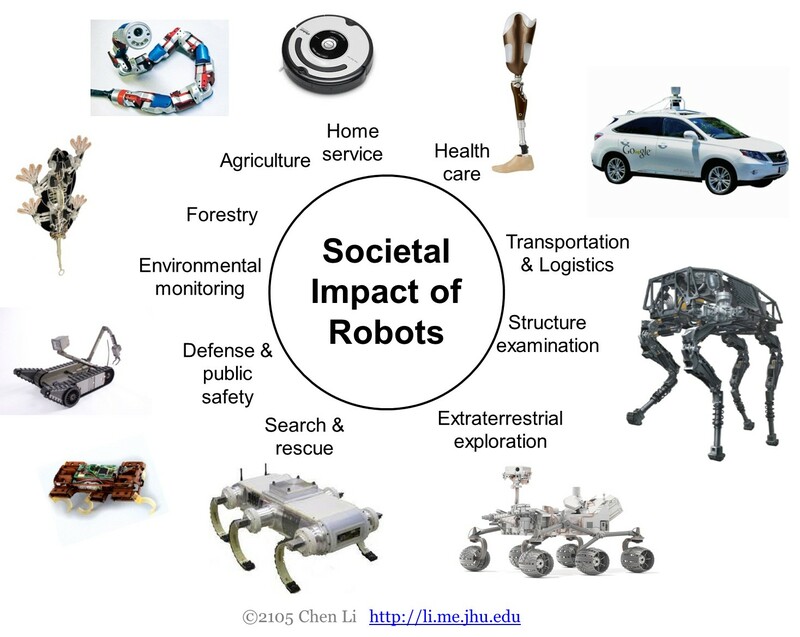 Practically, like computers were half a century ago, mobile robots today are on the verge of becoming a major part of society, with applications as diverse as home service, agriculture, forestry, environmental monitoring, search and rescue, etc. (Fig. 1). Figure 1. Terrestrial robots have many important applications. For movement in fluids, aero- and hydrodynamics describe fluid-structure interactions and enable quantitative prediction of forces and movement. 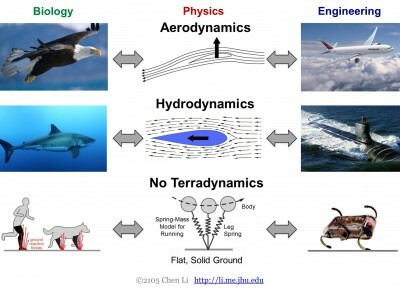 They have not only allowed us to understand how animals fly and swim, but also advanced the development of aerial and aquatic devices (Fig. 2, top, middle). For terrestrial movement, we also understand quite well how animals walk and run on simplified flat, solid ground like treadmills and running tracks, and have created robots capable of doing so (Fig. 2 bottom). Figure 2. While aero- and hydrodynamics are well established, terradynamics is relatively lacking. However, in nature, the complexity of body/appendage interaction with ground often rivals or even exceeds that in fluids. But advanced understanding of locomotor-ground interaction in complex terrain is relatively lacking, i.e., no terradynamics. Our research begins to bridge this gap by creating terradynamics to enable quantitative prediction of forces and movement in complex terrain, and use terradynamics to better understand biological movement and advance robotic mobility in the real world.